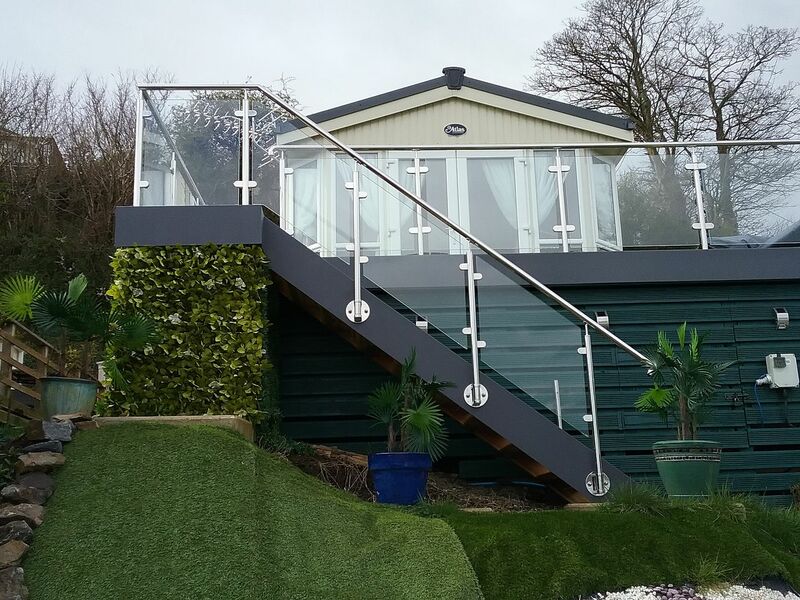 More examples of one of our most popular products; our stainless steel and glass balcony balustrade System 1. 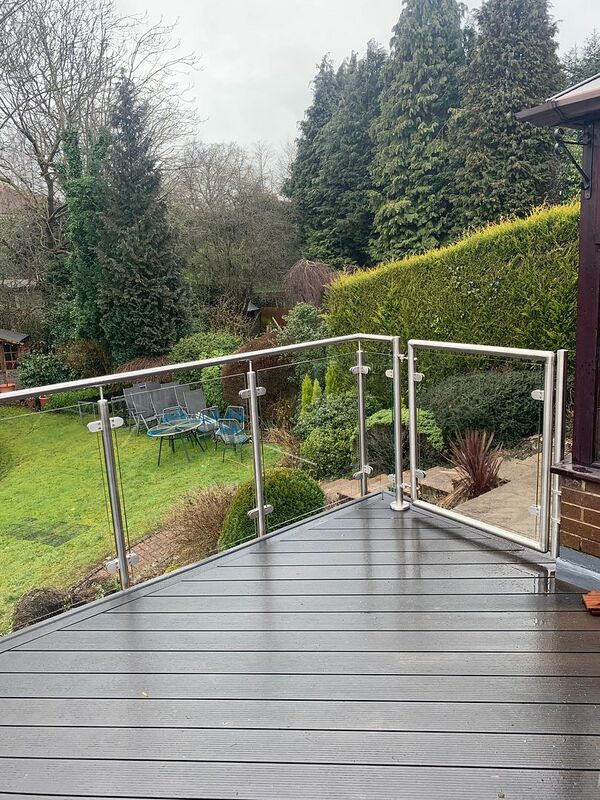 The design of this balustrade fencing is clean, simple, modern and affordable and it can be adapted to suit various fixing details, curves, steps and ramps. 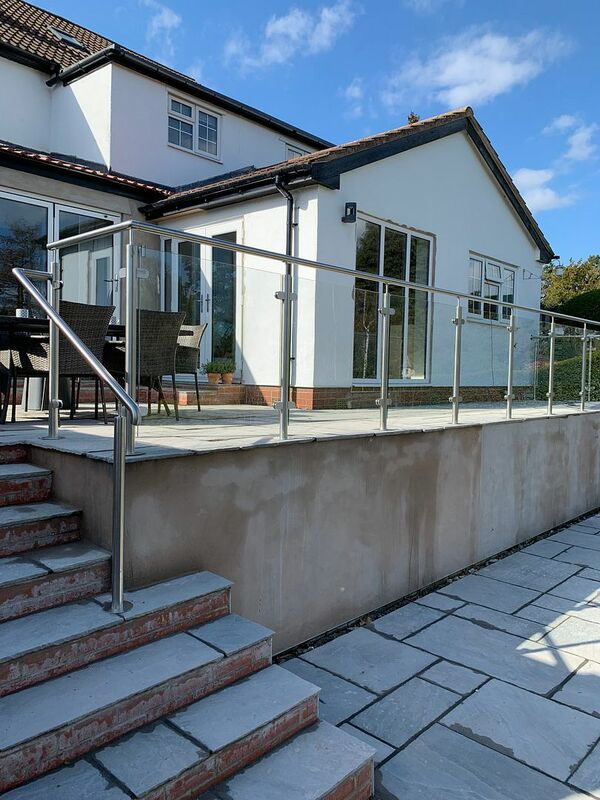 Our framed stainless steel and glass balustrade System 1 is exceptionally popular all year round, but particularly so in Spring and Summer months when people get out into their gardens and start to enhance their properties. Our online pricing structure is aimed at the DIY market, with balustrade packages sold in kit form for self-assembly however you don’t have to do all the work yourself! Contact us for an installation quote, or alternatively, any local builder or tradesmen should easily be able to install our products. This glass balustrade design is exceptionally versatile, which is why it has become, and remains, so very popular. The modular system can be adapted to suit various fixing details or be bespoke fabricated in our workshop where required. The system will also accept differing thicknesses of toughened glass, as well as laminated glass. Don’t want clear glass? We also offer tinted, frosted and painted glass as an additional option. Get a quote online for standard straight runs here : Glass Balustrade Online Quotes or contact us for bespoke variations.